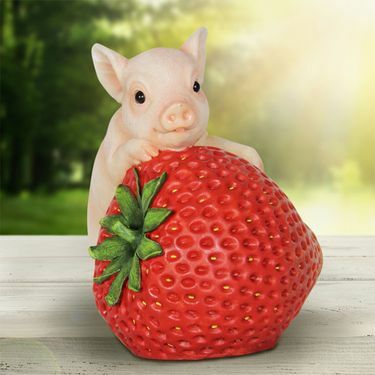 This little piggy went to market and came back with a magical giant strawberry! A solar powered LED light will illuminate from within this adorable garden statue each evening. A charming addition to your home. Size: 8.25" x 8.5" x 9.25"H., approx. 1.75 lbs.